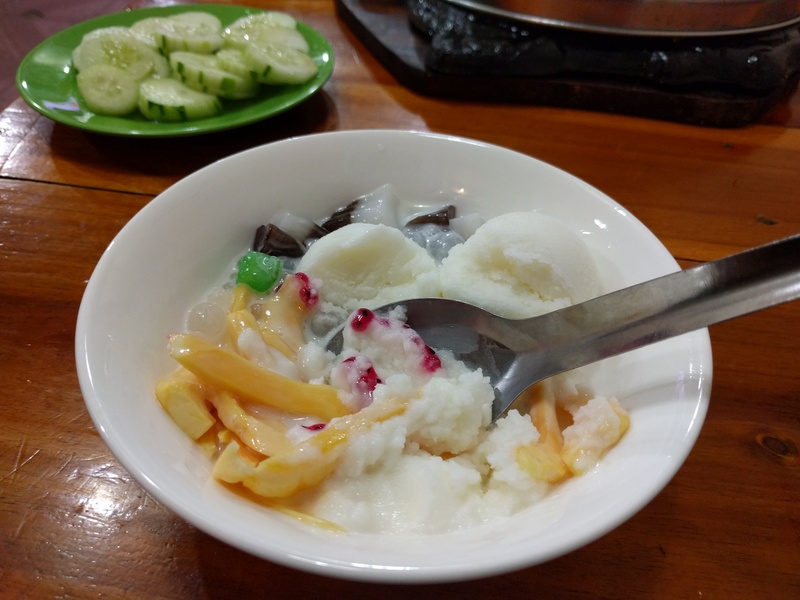 sua chua mit – frozen yogurt mixed with durian and tapioca pieces. Our favorite food find of Vietnam. We discovered it trying to order the white drink that folks at the restaurant had gotten the previous night. The owner thought we meant this since we had tried to explain that we saw lots of people with it. He went to the shop next door and bought us two bowls. Amazing!